Work phone provided by the firmware installed at the factory. Modern phones allow you to upgrade the firmware at home using the computer. For flashing phone you need to sync your phone with your computer. As a rule, all the necessary components, namely, CD with drivers and a data cable can be found in the package, otherwise you will need to find them yourself. Data cable you can find in shop of cellular communication. Make sure that the connector is fit for your phone. As a rule, complete with a data cable will be sold the disc with the software necessary to sync. Otherwise, you will need to download it. Find out the manufacturer and model of your cell phone, then use the search engines to find them. Pay attention to the official website of the manufacturer, as well as unofficial sites. 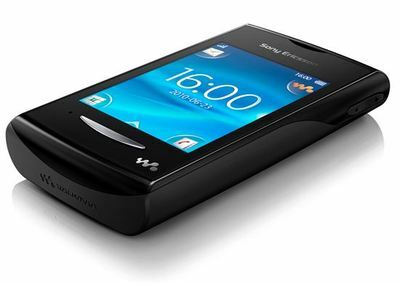 You can also find a plethora of information on personalizing your cell phone, and a large number of adaptive content. Install driver software and connect the phone to PC using data cable. To avoid incorrectly adding a new device i.e. your phone, you need to implement the actions in this sequence. After connecting your phone, make sure that the program "sees" the phone. With the help of search engine find the firmware and a program for implementing the operation. Use the firmware that is right for your model of phone. Use firmware that is not appropriate for your model, might spoil your cell phone. It is advisable to download and use the software for which the site has instructions. Proceed to the flashing, just make sure fully charged phone. Do not use the phone and do not disconnect until the message about the successful completion of the operation. Carefully follow the instructions.